3HC earned its third star and is now a level 3 partner of the We Honor Veterans program! This program is a national awareness campaign that was developed by the National Hospice & Palliative Care Organization in collaboration with the Department of Veteran Affairs. 3HC is already working towards earning a fourth and final star, in an effort to better serve our very deserving veterans. The We Honor Veterans program invites hospices, state hospice organizations, Hospice-Veteran Partnerships, and VA facilities to join a pioneering program focused on respectful inquiry, compassionate listening, and grateful acknowledgement. 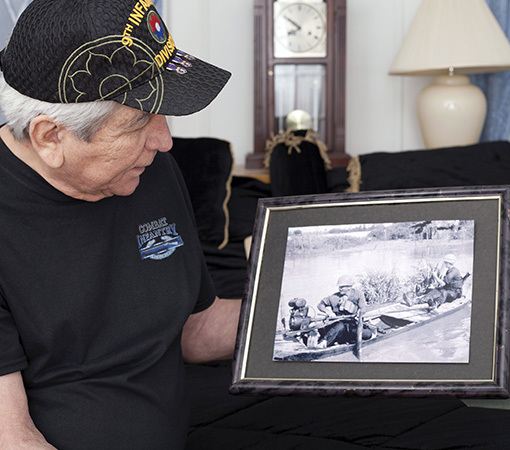 By recognizing the unique needs of America’s veterans and their families, community providers, in partnership with VA staff, learn how to accompany and guide them through their life stories toward a more peaceful ending. We Honor Veterans provides educational tools and resources in advancing these goals, including promoting veteran-centric educational activities, increasing organizational capacity to serve veterans, supporting development of strategic partnerships, increasing access, and improving quality. The goal of the program is simple – to care for and honor those who have served when they reach the end of life. By participating in community partnerships and collaborations, partner organizations, such as 3HC, are able to educate, engage, and expand awareness to veterans and their families.